At North London Cares, we love bringing people together. Events are not only the perfect way to share a laugh with friends, but are also a great way to raise funds, awareness and support of North London Cares. Fact - everyone loves cake. Bake sales are a tasty way to raise funds for North London Cares. Volunteer Klara tells her story about what inspired her to take to the kitchen in aid of charity. A bit of competitiveness can be a good thing. Over a pint and a pub quiz, it certainly is! 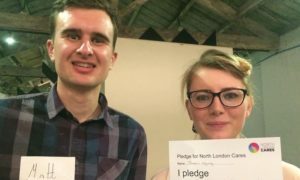 Kings Cross regulars Jess and Matt held a fantastic pub quiz in aid of North London Cares; here they explain how they got from idea to reality. Get together some friends. Dig out those loved but forgotten items of clothing. Begin bidding. 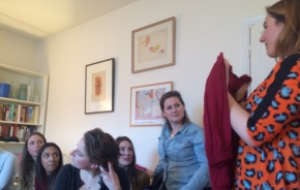 A clothes swap is a fun way to refresh your wardrobe and raise some funds for North London Cares at the same time. Supporter Lydia explains more. Keen to raise funds, but don’t know where to start? Never fear! The NLC team has come up with an A-Z of fundraising ideas; small things that can make a big difference. From baking brownies, you can support North London Cares in more ways than you think! Download the Fundraising A-Z here. Ready to get going? Or have a few questions? Drop Victoria an email. She'll help you reach your fundraising goal, offer hints and tips and help you spread the word.